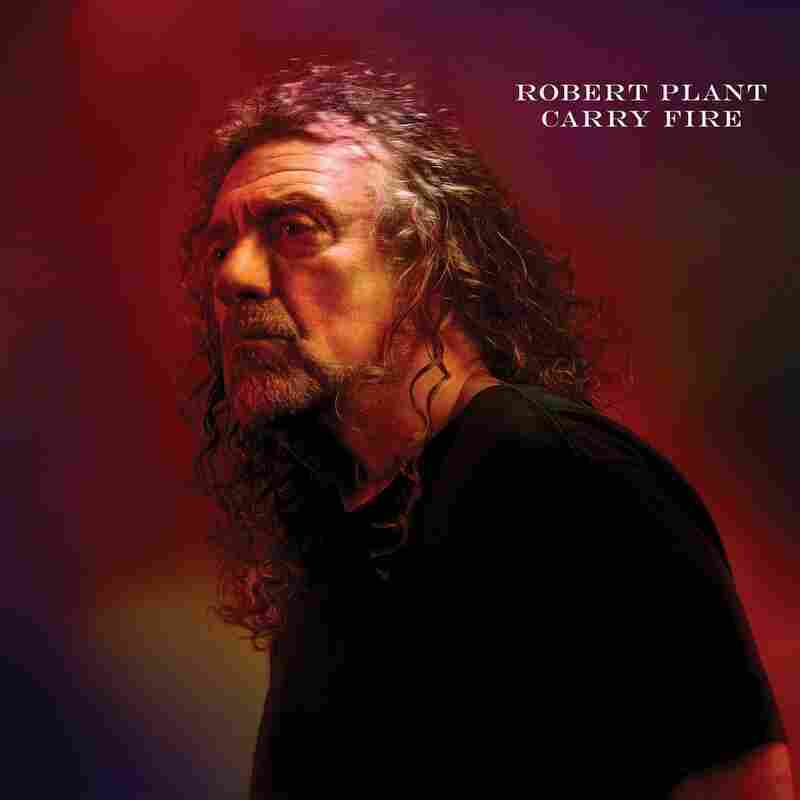 Stream Robert Plant's New Album, 'Carry Fire' The Led Zeppelin frontman's 11th solo effort is a finely woven blend of folk, Celtic, blues and world music. When they set out to make new music, rock icons who have visited – or resided – at the pinnacle of success face unexpected challenges of scale. Sure it's possible to re-create the larger-than-life arena-rattling sounds that propelled them in the (often distant) past, but such attempts can register as contrivance or desperation. We've all endured this particular ritual, in which legacy artists attempt to get back by serving up imitations of what worked 30 years previous. Painful. Robert Plant, the gilded voice in the center of the maelstrom known as Led Zeppelin, has followed a different path. In the last decade, he's intentionally sidestepped the classic-rock bellowing business, opting instead to explore bluegrass and Appalachian folk (the still astonishing 2007 collaboration with Alison Krauss, Raising Sand), rural blues, and the intricate polyrhythms of music from the Middle East and India. Each project has demanded new tactics from him, and he's adjusted his delivery to suit the temperature and atmospheric pressure of the music. This sensitivity is the guiding force behind Plant's transfixing new Carry Fire. His 11th solo effort, it continues his collaboration with The Sensational Space Shifters, and musically ventures further into the finely woven blend of folk, Celtic, blues and world music that defined his 2014 lullaby and... The Ceaseless Roar. It is a triumph of calibration, the work of a mature artist who understands how hard to swing and when to throttle back. It brings Plant's heaven-bound sound to a human scale, an approachable place. Robert Plant is 69 years old, and clearly not inclined to do the circus trick of singing "Black Dog" to new generations of dazed and confused concertgoers. That said, he can still summon the fury of the Gods when necessary – see the wailing swirl of vocal ad-libs on "Bones of Saints." But on most of Carry Fire, he's concerned with other evocations: He seeks to cultivate a zone of deep reflection. His new songs dwell on notions of impermanence; scattered into the rhapsodies are images of dying embers, confessions of personal shortcomings and recollections of lost, long-gone moments of stolen bliss. Both the opening "The May Queen" and the spellbinding meditation "A Way With Words" share the thoughts of a man ruminating, directly and only slightly romantically, on the cycle of life and death. "I'm out here in the shadow," Plant sings plainly at the close of "The May Queen," presenting himself as a detached observer carefully tracking "the dimming of my light." For all that darkness, Carry Fire is the polar opposite of music from death's waiting room. Through careful arrangements and a downright beautiful vocal capture, Plant and his collaborators create music that overflows with irrepressible life force – a riveting mix of exotic hand drumming and Bo Diddley rhythm, somber cello and dancing oud, high-minded U2-style processionals bumping right into the lusty energy that defined Led Zeppelin. It's got strikingly ethereal passages, yet remains fully grounded, close to the earth. And, above all, Carry Fire is rivetingly intimate: After all those years of trekking the world in private jets, performing at peak volume for thousands, Plant has built an encore career that thrives on tenderness and nuance while somehow retaining his burning inner intensity. Within this place of existential whispers and delicate textures are lessons about life and love and heeding the call of creative exploration rather than the empty lure of dollars. When you set out to carry fire, you first need a living, sustaining flame.